Coming home from any Customer Response Summit (CRS) event, there are always many amazing moments to reflect on. This past CRS was no different and I came home filled with inspiring stories, great ideas and new connections. However, this event left us with a moment that we did not expect. At Execs In The Know much of the show, the content, and direction, is planned by me and my team. We know what is going to happen and I am always excited to see the reactions of our community members. However, at this particular event in Chicago, Chad and I were the ones left surprised, humbled and grateful. 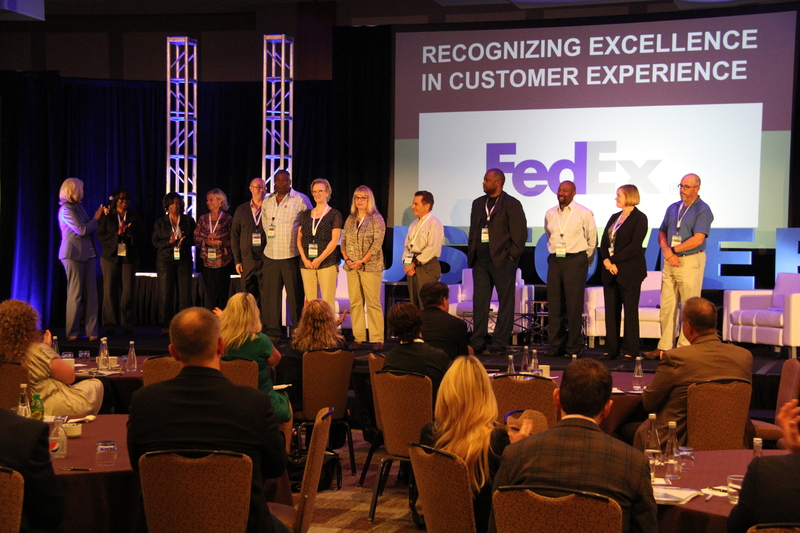 For the second year in a row we have had the privilege of being part of an employee recognition program – the FedEx Purple Promise Award. Ginna Sauerwein, who sits on our Execs In The Know Corporate Advisory Board, wanted to add the opportunity for the winners to be able to attend CRS as an additional benefit to winning the award, to gain exposure to thought leadership learnings, network and have some fun along the way. We loved the idea of having her team with us and to help celebrate the drive and passion for customer service that these leaders were being recognized for. It embodies everything that our conference is about. 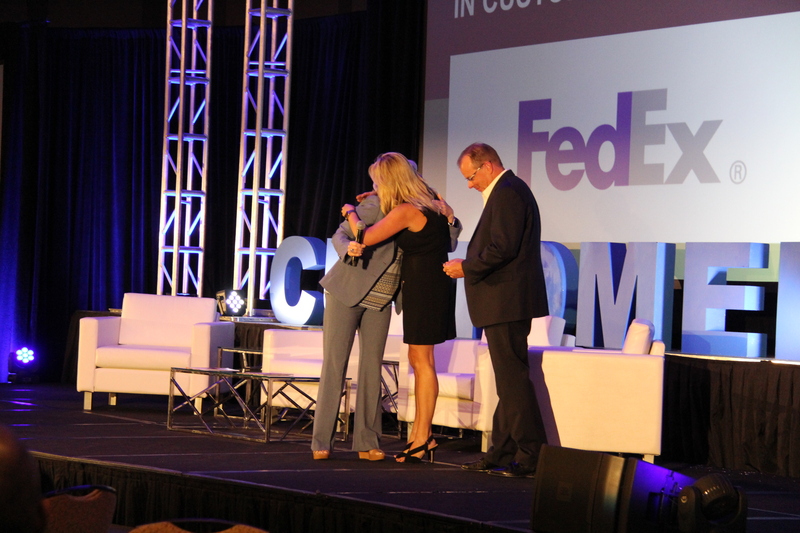 This year, as we were getting ready to recognize her team, Ginna called Chad and I on stage and awarded us The Purple Promise. To those of you who know Chad and I, we are not usually short on words and she left us absolutely speechless (literally) – there were no words, just impending tears. You see, I knew exactly what this meant. Not only what kind of leader you needed to be to receive it in FedEx, and the impact that you needed to have made, but also that this was not an award typically handed out to a non-FedEx employee.